ADDIS Superdry Mop Complete Handle and Head..
ADDIS Superdry Mop Refill Twin Pack..
California Floor Mop (For Wood & Vinyl Floors..
PY yarn Kentucky Mops. Size 16, packs of..
24 litre High Quality Mop Bucket and Wringer..
49" aluminium Mop Handles. Blue..
49" aluminium Mop Handles Green..
49" aluminium Mop Handles Red..
49" aluminium Mop Handles White..
49" aluminium Mop Handles Yellow..
PY yarn Mops. Size 16. Blue..
PY yarn Mops. Size 16. Green..
PY yarn Mops. Size 16. Red..
PY yarn Mops. Size 16. 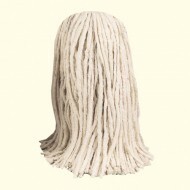 White..
PY yarn Mops. Size 16. Yellow..